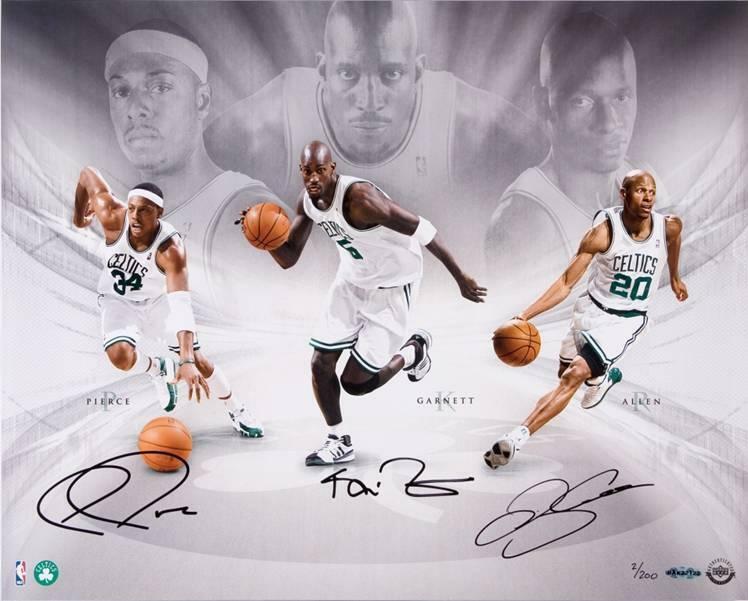 The Big 3. . HD Wallpaper and background images in the Boston Celtics club tagged: celtics nba pierce garnett ray allen. This Boston Celtics photo contains dribbler کی, ڈراببلر, باسکٹ بال کھلاڑی, basketeer, cager, باسکٹ بال کے کھلاڑی, باسکیٹر, and کاگار. There might also be باسکٹ and باسکٹ بال.